Great classic movies sort of like “The Greatest Snowman” must have an unforgettable opening verse, natural acting, and powerful story. The same goes true for popular songs which mainly rely on catchy lyrics, awe-inspiring tunes and melodic vocals to make you keep listening to them. Below are the popular songs right now that you have loved this year. Let’s check them out! 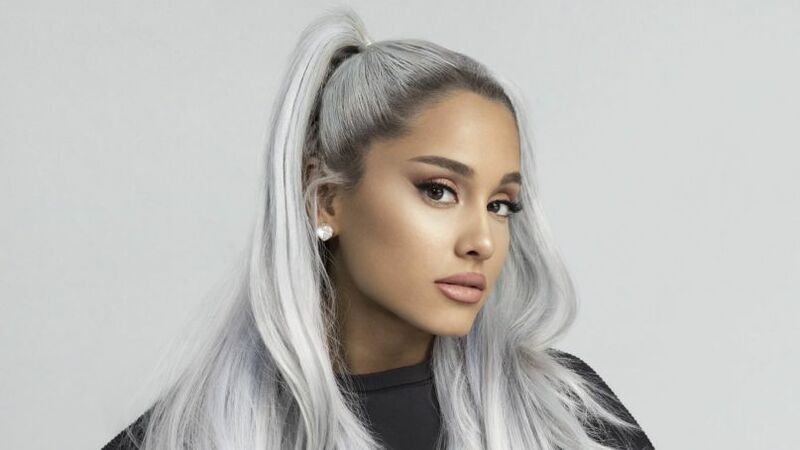 Popular songs right now include Ariana Grande’s “Thank U, Next” which pretty much smashed the online streaming portals. This is the melody that lists singer’s previous high-profile associations with an exclusively Grande self-awareness or we can say that “Thank U, Next” is an innovative type of idealistic relationship chorus that shows young individuals taking a positive view of emotional breakups. The reason why this one of the popular songs right now has built up its own uniqueness is that it summarizes the present day’s romantic dating idea by navigating through a series of emotional breakups in a young age. Today’s generation does not inherently feel sad or embarrassed; instead, it takes it as a great opportunity for their self-growth with confidence. Similarly, Ariana Grande unveils that it was amazing to learn about love, patience, and pain. With “Thank U, Next”, she has treated dissolved affairs like most necessary milestones to grow. Avril Lavingne’s song “Head Above Water” is something completely new on her musical career. The song talks about an ugly but a hopeful inspiration as the singer felt she was dying and had accepted her predictable death due to her illness. According to Lavingne, she often felt as she was drowning and so she prayed God to help keep her head above water. It’s worth mentioning here that the Canadian singer kicked off her last music album “Here’s to Never Growing Up” in 2013 wherein she made it very clear that while she wasn’t directly revolving her spoiled teenage pranks into ear candy, she could at least produce beats about recalling that soul. Later, she was diagnosed with Lyme disease which kept her away from music industry for years. In 2018, she gave a powerful comeback with her new song “Head above Water” which has desperate and beautiful prayer-based lyrics that go well with emotional piano. The tune not only catapults her to the success and fame once again but also has become one of the popular songs right now that deeply melt listeners’ hearts. The challenge of “In My Feelings” has gone globally viral, making Drake fans attempt to discover the concealed identity of “KiKi”. It is indeed the most noticeable track among popular songs right now, which was originally got fame through internet since its release earlier this year. Even its video created a huge musical sensation in an entirely unique way, making people following their favorite star the way he was shown in the video. The song has emotional romantic lyrics and New Orleans bounce inspired melodies which certainly worm its way into a few ears. Despite of some criticism misers, “In My Feelings” is one of the most popular tunes that will be remembered as the crowned song of summer 2018 in the music history. While “Rewrite the Stars” was released almost a year ago, its popularity and success fail to reduce. It’s an amazing version of James Arthur and Anne Marie’s musical work which was originally recorded for last year’s hit movie The Greatest Snowman”. The instrumental sequence of the song stays consistent throughout its course while there are subtle beat drops through verses that pick up the track from its nearly invisible background in the chorus. It is not only a box-office smash but also an infectious and feel-good number that still secures its best position in those popular songs right now that have captured hearts of music lovers with unbeatable melodies, awe-inspiring lyrics and heart-melting melodic voices. The Urban pop star BAZZI has comeback with a magical remix of “Beautiful” which is among the highlights from his “Cosmic. Just like the title, it is a beautiful song which also features Camila Cabello as a lovely assistance. “Beautiful” has nice romantic lyrics, revealing the singer’s feelings about his love life. He honeys everything about his beloved and can talk about her for hours without getting tired or bored. Camila Cabello is obvious in second verse where she perfectly suits this urban pop song with her upper-register pipes. In “Beautiful”, BAZZI has made some sexual references but has gone beyond the physical relationship, making it worth to be remembered as one of the popular songs right now. One of the popular songs right now, “A Million Dreams” is an entirely new transformation from Pink’s latest pop album “The Greatest Showman Reimagined”. The song comprises singer’s own twists and soars higher than its original version produced by Huge Jackman, Michelle William, and Ziv Zaifman. “A Million Dream” has made the leap from “show” melodies to heartstrings pulling pop track with maximum ease and convenient. As it ranks higher in popular songs right now, the singer is pleased to have sold more than 4.5 million copies of her new work, shaping it up to an excellent treat. It is already one of the popular songs right now and we just cannot do anything else than loving to welcome its addition in the list to the greatness. The instrumental series is not noticeable in the chorus since it really draws listener’s attention to vocals and lyrical content, rightly highlighting the real message of the song in a powerful manner. “Rock Star” has melodies that can be really dark for some listeners particularly for those who are already going through a lot of stress. It is said Post Malone produced a draft of the whole track on the spot as most artists do. He later finalized it, forming it into a new song for his album. It shocks everyone at how fast things come together and how random it all is. Overall, “Rock Star” is a party vibe and a great addition to popular songs right now.